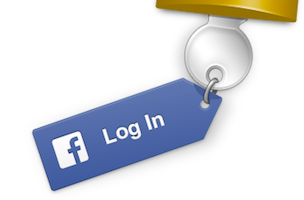 Facebook continues to grow as the dominant social login mechanism around the web, Janrain reports. In Q3 2014, the social network put 2 percent more ground between itself and Google as the main way people log into apps. 46 percent of the social logins around the web happen via Facebook, with Google a strong No. 2 at 34 percent. Despite reports of privacy concerns and young people abandoning the network, Facebook’s value to consumers as a social login provider shows no signs of declining. Facebook increased its lead over Google during the past quarter, marking its second consecutive quarter of growth. Yahoo slipped to its lowest share ever, with Twitter picking up momentum in third place. After it appeared Google was closing the gap on Facebook in Q1 2014, the social network has pulled away in recent quarters. Facebook is overwhelmingly the social login mechanism of choice for media sites, as well as entertainment and gaming, but Google is slowly gaining on Facebook in terms of consumer brand sites. However, there’s one category where Facebook gives way to Google: B2B. Facebook, Google and LinkedIn are battling for superiority, but in Q3 2014, Google is the top login mechanism for B2B sites and apps. Facebook had big gains on entertainment, gaming and music properties during Q3. Its share of logins on these sites grew by nearly 10% in the last year – nearly entirely at the expense of Twitter and Yahoo, both of which lost half the market share they had at this time in 2013. We believe Facebook’s growth was spurred by the ubiquity of Facebook Login on popular music sites such as Spotify, Pandora and Beats Music, which has helped condition consumers to use Facebook to connect on similar types of sites.